The ticket office closes one hour before the buildings. 1 July - 2 Sept.: every day 11am - 1pm, 2pm - 7pm. At the heart of Monts d'Arrée lie two remarkable sites: a miller's village dating back to the 19th century and a peasant house from 1702, the Maison Cornec. 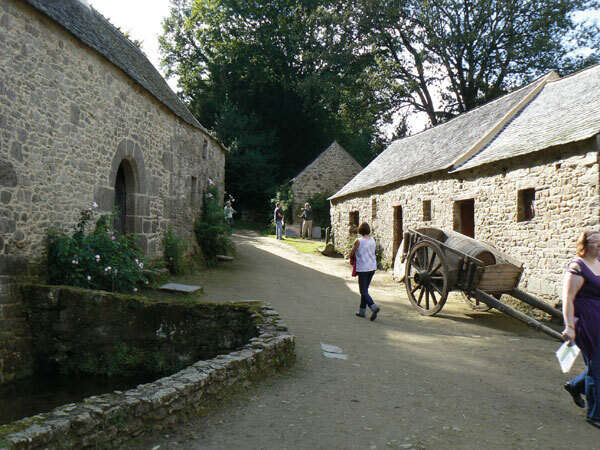 These two architectural ensembles make up the Monts d'Arrée Ecomuseum, which uses a variety of activities, exhibitions and encounters to bring history and tradition to life.